Audi Q3, the success that was hoped for? When should the windscreen of your Audi Q3 be replaced? Can you replace the windscreen of your Audi yourself? The Audi Q3 is a striking model from the German car manufacturer. Given the popularity of the model, it is not difficult to find replacement parts. Also the windscreen replacement of your Audi Q3 can easily be arranged at a competitive rate, when you know what to look out for. Before we go into the possibilities of replacing the windscreen of your Audi Q3, we first look at the model itself. Because the Q3 is the Audi model that was first highly criticised - before becoming a sales success. How is this possible? The concept car (Audi Cross Coupé Quattro) from which the Audi Q3 was supposed to come, was already presented in 2007 in Shanghai. It then took the Germans four years to roll the Q3 out of the factory. Remarkable, because the basis of this car is simply the PQ35 platform. Indeed, the platform on which the Skoda Yeti, Volkswagen Tiguan, Volkswagen Golf and the Audi A3 are built. From its introduction until 2018, Audi has been busy offering other engines and options for the Q3, but the real success that was hoped for was not forthcoming. That's why Audi decided to take a bold step. A new car was built and this was called 'the second generation' of the Q3. (known for the Audi TT, Seat Arona and the Volkswagen Touran among other things) and that means a lot more space. The car is especially longer (17 centimetres), got a lot more space and storage possibilities and the dashboard was also adjusted. This included larger screens on the navigation system and a more modern look. The second generation of the Q3 has more differences than the first generation. Audi had to. With the second generation the Q3 became an internationally acclaimed car, the loading space was compared to that of the Volvo V90 and Audi was finally able to compete with the direct counterparts of the Q3: the Volvo XC40 and the BMW X1. Did it win that battle? At the moment it does when it comes to Volvo. The Audi Q3 has been sold more than 5000 times in the Netherlands (comparable to both the Audi TT and the Audi Q7), where the sales figures of the Swedes have stagnated at around 4000. The BMW X1 was sold 7500 times between 2015 and 2019. There are many differences between the two generations of the Q3. The biggest difference is the appearance of the SUV. Where the first generation with feminine and round lines didn't look like a tough Audi-SUV, the second generation is an Audi version of the SUV pur sang. Clean lines, a tough look and the character Audi drivers are looking for. As far as the engines are concerned, Audi didn't have to do much when setting up the second generation. The number of engines for the first generation has been greatly increased between 2011 and 2018. Chances are that Audi, after offering four different engines for the second generation, will also continue to develop at a later stage in order to set up a wider range of engines, if desired. The Audi Q3 can be fully personalised. Of course there are costs involved. Other colours, personalized interior design and numerous extension packages are possible. The entry price of the Q3 is slightly above € 40,000, but with all the options Audi offers the modern driver, you can almost literally make the car as expensive as you want it to be. In September, Audi saw its market share in Europe fall from more than six percent to less than three percent. The failure of the Audi Q8 was bad news and the Q3 was on the starting blocks to boost sales. In December, Audi already had a 5% market share - but the Germans are not yet where they want to be. It takes more than that and at the moment the focus is on Audi's e-tron models, which have to make the big difference. 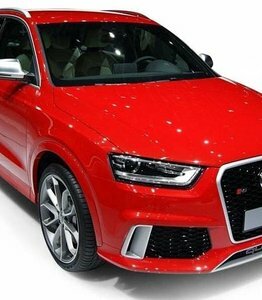 A single crack or asterisk is no reason to immediately replace the windscreen of your Audi Q3, although glass damage is not a nice sight for the Audi driver who wants to keep his car in top condition. However, the windscreen replacement is necessary when the driver's field of vision is obstructed. Cracks in the field of vision can reflect light in unpredictable ways and distract it from the road surface. The windscreen must also be replaced in case of branched cracks in the window. However, the car window replacement is not as expensive as you might think. You can simply opt for after market automotive glass. This meets exactly the same requirements as the car glass with an Audilogo on it, but the price is much lower - partly because these windows can also be sold by companies that are not affiliated with Audi. This makes the windscreen replacement a lot more attractive. We strongly advise you not to replace the windscreen yourself. This is work for the experts. A side window replacement is possible when you have the tools, the space and the time. Replacing the windscreen, however, is a different story. It must be installed accurately to prevent leakage. Also, you don't want the windscreen to come off when you have to brake abruptly. However, if you have a lot of experience in windscreen replacement, if you have the space and the tools, you can simply order car windows online and install them yourself. In all other cases, our certified partners are at your service. If the windscreen replacement of your Audi Q3 is needed, then you have come to the right place. You can order a new windscreen without installation, so you can place it yourself when you have the knowledge in house. You can also indicate that you want to order the windscreen for your Audi Q3 including installation. In that case we will make sure that a certified partner will replace your windscreen within three working days. Of course at competitive rates that you know in advance and with all guarantees on the windscreen and the work. Order your Audi Q3 windscreen directly via the website, or contact our experts who will be happy to help you.